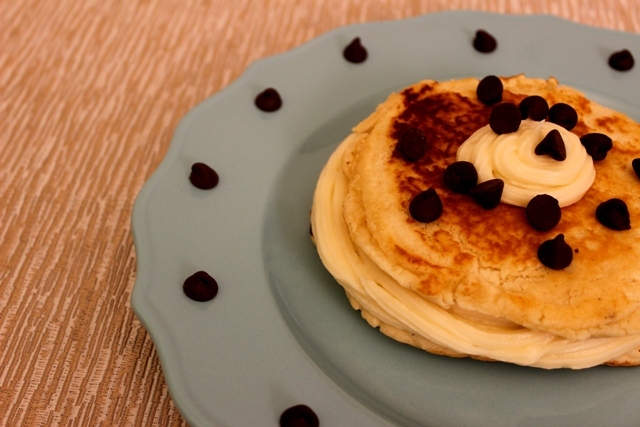 Anyone who’s crazy for sugar knows that chocolate chip pancakes don’t quite make the cut on the sweetness scale. They tend to taste a bit dry and bland, and you barely notice the chips inside! 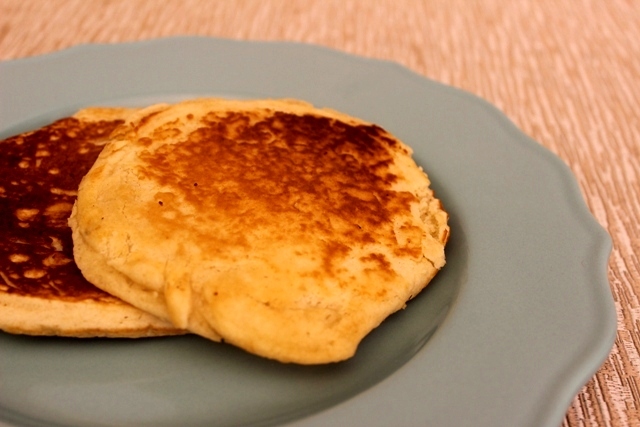 If you’re nodding your head in agreement, then we have just what you need to cure your boring-flapjack-induced coma: frosted pancake sandwiches! Best of all, you can make them in as few as three easy steps, so you can get your morning sugar rush even earlier! Buy a box of your favorite pancake mix, or whip up some fluffy flapjacks from scratch if that’s what your heart desires! Separate the finished batch of pancakes into stacks of two. Place another plain, unfrosted pancake on top of the layer of icing. Add a dollop of whipped cream (or more frosting!) 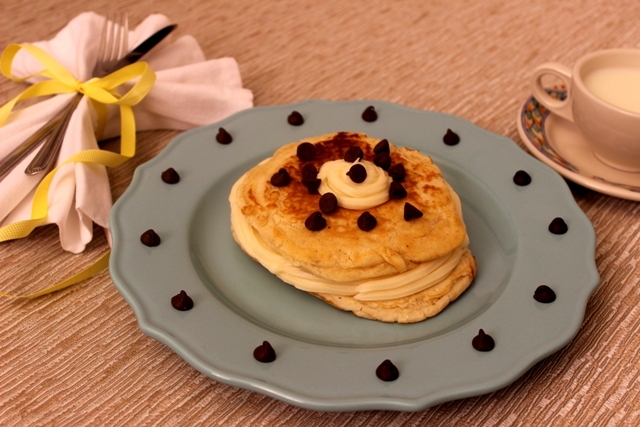 to the top pancake and sprinkle it with your favorite sweet or savory garnish. We paired vanilla frosting with chocolate chips to create a cookies-and-cream sandwich. But you can use powdered sugar, sprinkles, walnuts, almonds, coconut or fruit to make your own flavorful concoction. Voila! You’re ready to serve the perfect breakfast-slash-dessert medley that will gratify any sweet tooth at the crack of dawn … and the whole day through! Be sure to pop in next week for our latest buttercream treat: frosted doughnut flowers! The Many Uses of Buttercream, Part 4: Cake Push-Up Pops!